The theme of our next inspiration shoot was "fruitful and abundant," because as Simply Roses, the florist and concept designer behind this beautiful afternoon, said, that is what we want our lives to be How lovely is that? The models for this shoot were newlyweds, five months married, and a couple who are truly striving to live out a marriage that is fruitful rich in love and generosity. The color palette was awash with rich berry hues and soft jewel tones that popped against the sunset light. 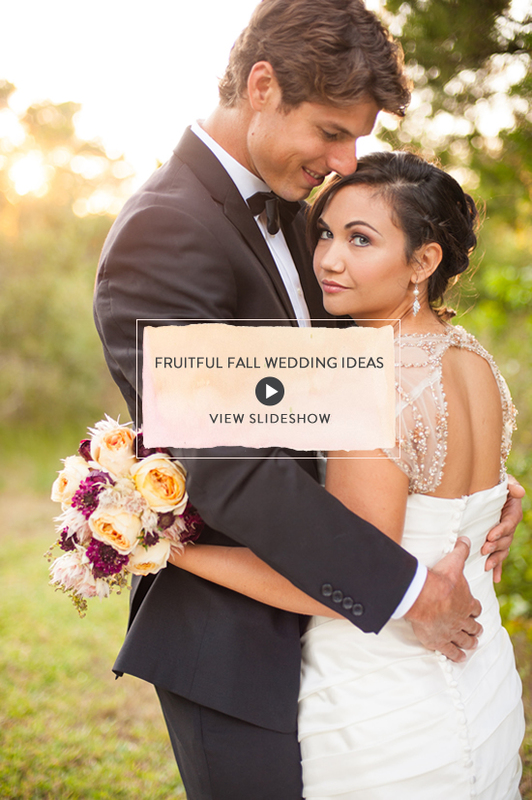 Such lovely inspiration for a fruitful fall wedding. Click here to see the entire shoot you will not want to miss the cake. It is truly spectacular.